Bluebelles shine on a wet and windy day. 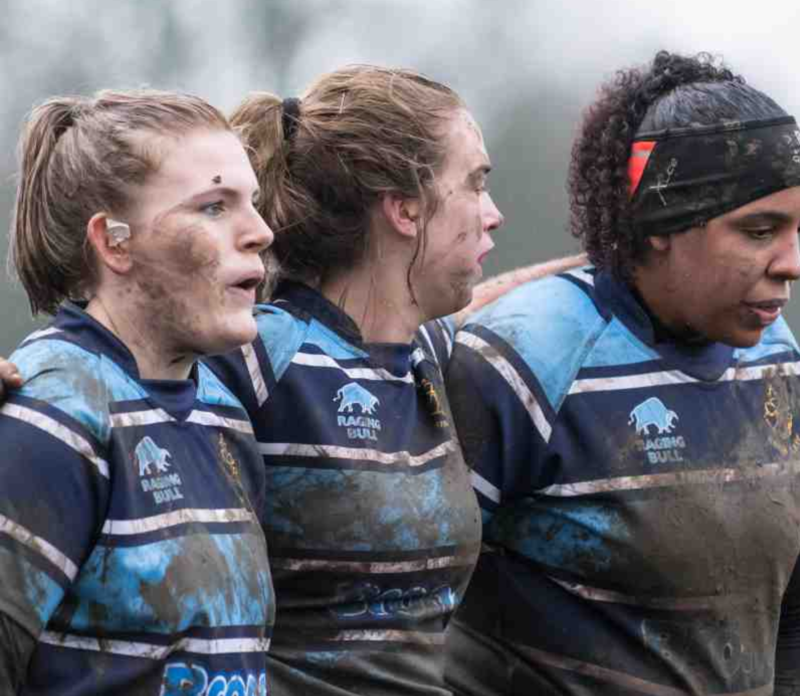 The Bluebelles travelled up to Northallerton on a very wet and windy Saturday for their first double header with the Mens 1st XV giving them an early kick off of 12 O'clock. The players are really finding their feet as a team and with recent training sessions focussing on line speeds, scrums and lineouts they were switched on from the start, taking the game to Northallerton and dominating the first 20 minutes culminating in a try for new comer Abi Lovel who made her debut from the Under 18s team and converted by Claire Taylor. Ripons defensive line was very good, Northallerton testing it on several occasions but never quite making it through. Their break down drills around the ruck and spreading out to use the whole pitch really clicked into place and by using the line, gained ground and gave Sarah Winterschladen the opportunity to set Dot Frankland up for the second try of the first half. This took Ripon into half time at 0-12. Northallerton never gave up and started the second half with renewed determination, Ripon succeeded in holding them down for the most part but Northallerton, giving a big push took the ball over the line taking the score to 5-12. Ripon came back fiercely and again dominated play, using the line with accurate passing and almost breaking through on several occasions but not quite making it over the line. The Ripon Scrum demonstrated good position and power proving that hard work does pay off, pack leader, Clare Collins could be heard spurring the pack on. Dot Frankland made another break for the score line, gaining ground before being on the receiving end of one of her own signature tackles but placing the ball for Abi Lovel to collect and break for the line, passing several Northallerton players to take the ball over for her second try of the match. She went on to convert to give Ripon the score of 5-19. The final 20 minutes of the game was hard fought by both teams but Ripon were successful in maintaining their lead to reach full time at 5-19. Player of the match, chosen by Northallerton was Abi Lovel and the Ripon coaches also mentioned Sarah Winterschladen for her contribution and consistency throughout the match. All of the Ripon players showed determination and a team spirit that will continue to develop as the team moves forward for the rest of the season. Big thanks to the three Ripon players who went across to help out Northallerton, none of them pulling any punches and all played to the best of their ability, even when playing against their own team mates.